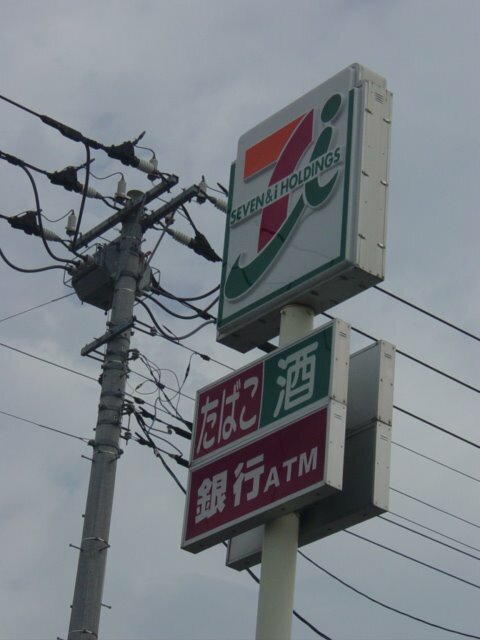 These have been in Japan for a couple of years, but they always amaze me. 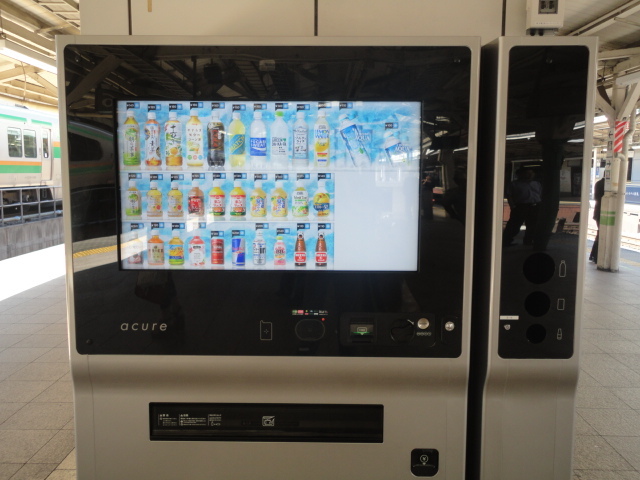 Touch Screen Drink Vending Machines ! 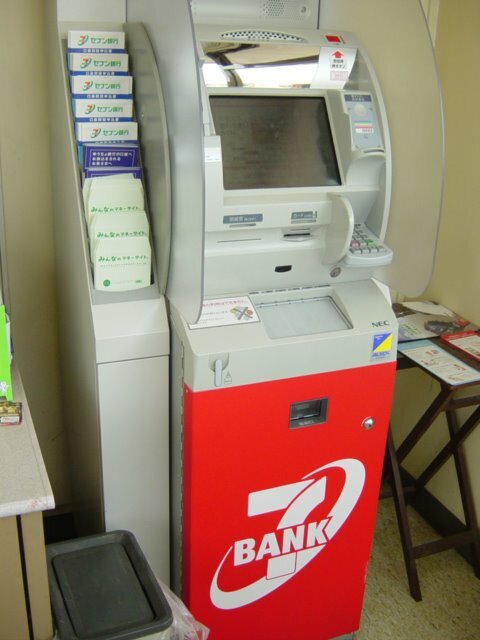 They are usually located at the bigger JR Stations (this one is at Tokyo Station) and are simple and easy to use. There is a camera located on the top of the machine, which detects your age and gender and will then offer you a drink suggestion. Pretty cool huh ! Anyone remember this ? 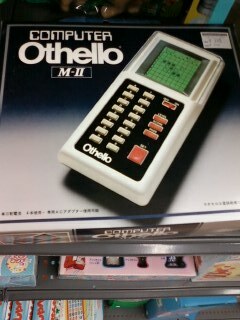 You often see unloved electronic games and gadgets in the recycle stores and this one brought back some memories ! Back in 81, this was like something from another planet ! Cutting edge technology ! They used that classic ‘computer’ font on the packaging to great effect I think. Although this unit was in great condition and a steal at only 300yen, I did in fact leave it there ! It always was too hard for a ‘space invaders/pinball’ brain like mine to figure out ! If you require evidence that the gaming technology in Japan races along like a bullet train, it can be found in the boxes of junk at large recycle stores. Sitting unwanted are hundreds of old Nintendo and Gameboy cartridges. I had an Atari 2600 when I was a kid, so can understand (on some level) the DS fascination which kids here, and around the world have. 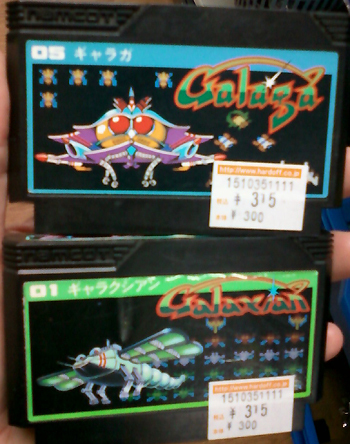 But when I spied these two cartridges – for Galaga and Galaxian, (official as well !) I was transported back to 81 and 82, when I would search landromats, take away stores, bowling alleys etc for these two games. Good memories…. I remember first seeing these around 2000 – they are not that expensive to purchase either. Why haven’t these conquired the motoring world ?! Remember that http://ntt.setup/ gets you to the login screen. Hope this helps others in configuring their router and security network. 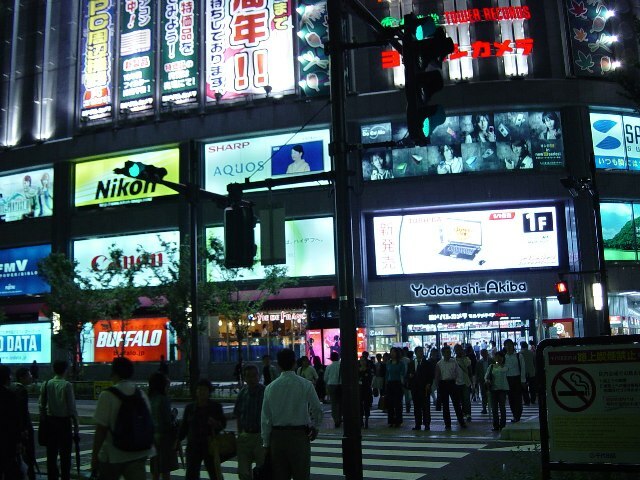 A visit to Tokyo is not complete without a stop at Akihabara, the electronic capitol of the world ! By day it’s a bustling sea of people, with shops and department stores selling all range of electronic gadgets. At night the neon signs shine bright with just as much pandemonium and bartering occurring in street stalls and big department stores. Near the station you will find back streets crammed with vendors selling everything from cameras, watches and handycams to minute gadgets and electronic parts. I’ve often sat down amongst the sea of people and imagined what this place would’ve been like, say 20 or 30 years ago, with the stock on display telling a tale of how technology has changed….ie street sellers trying to offload the latest TVs back in 1970, or a walkman in 1981. Nowadays it’s MP3 players, USB storage devices, DVD recorders, cell phones, digital cameras etc. I like to check out the large electronic department stores in Akihabara where the volume of items on sae is overwhelming. Floor after floor of computer software and hardware, digital and audio devices; if you can’t find what you are looking for here – they don’t have it. To give you an example, mouse mats – not just one – but a whole row of the things ! Same goes with laptops, clocks, MP3 players and the like. Same goes with mobile phones here – the range to choose from is mind boggling. Do you homework before you arrive here – be prepared to shop around and then haggle on the final price; with competition from other retails so fierce, you will be surprised what a bargain you may walk away with. I’ve always wanted to find a TV wrist watch but am yet to locate one. Oh and if girls in french maid outfits is your thing – they are usually found outside the station most evenings. 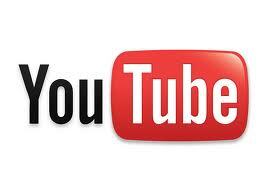 Enter your email address to follow Japanavision and receive notifications of new posts by email.